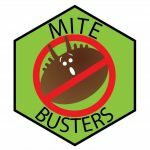 This is a special opportunity to learn specific tricks and techniques to get your bee colonies ready for winter. Allmendinger Center, WSU Puyallup Campus, 2606 West Pioneer, Puyallup, WA. 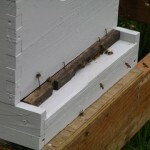 With lecture, Q & A, hands-on at the apiary (weather permitting), and afternoon breakout sessions. Lunch and break snacks are included. $30 for PCBA members; $70 for non PCBA members. 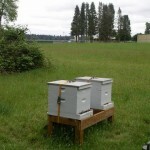 This is a collaboration of the Port of Olympia and the Olympia Beekeepers Association. 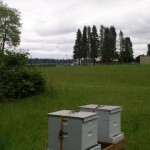 OBA members Jim Martin and Roy Manicke raised the possibility of installing bees at the Olympia Airport. After some investigation, a meeting was set up with Rudy Rudolph, Airport Director. Rudy took the proposal to the Port Commissioners and the Airport Bee Team was off and running. 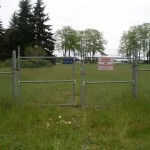 Rudy met with Laurie to show her around potential airport sites to set up the airport apiary. The very last site was the clear winner, with a fence, treeline, stand of blackberries and easy access for tending the hive. 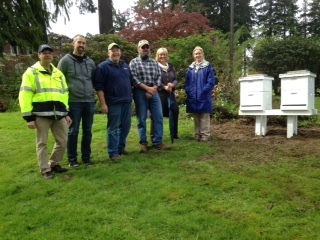 The Airport Bee Team met to strategize preparations, set up, installation and follow up and to report back to Rudy the working plan including an ongoing communications structure so the airport knows when a beekeeper will be on site. 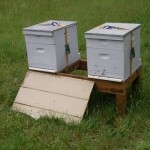 On the morning of May 6th, 2 nucleus hives were secured and installed into 10 frame boxes set up at the airport. 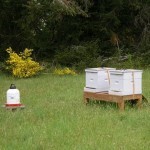 The team also set up a water station for the bees. Installation went smoothly and the Olympia Airport's Lorie Watson joined Roy, Jim and Laurie for the installation. 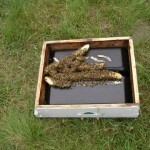 Subsequent visits have been made to ensure their feeder was filled and to assess the status of both hives. Currently, the "north" hive has an edge over the "south", actively filling the frames in the second deep box that was added on May 17th along with replacing the migratory covers with new telescoping covers. On May 26th, Laurie attended the Port of Olympia Commissioner's meeting along with Rudy to talk about the project and thank the Commissioners for their support. 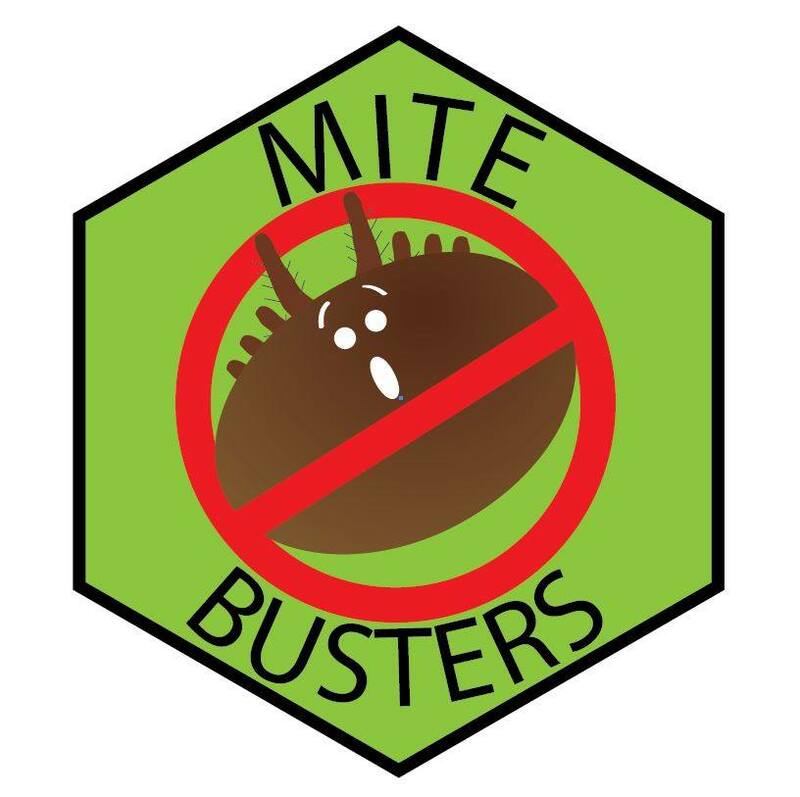 A sign will be installed at the airport at the apiary site designating the project and collaboration. 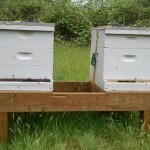 While honey bees at airports is not a new phenomenon, the Olympia Airport apiary represents an environmentally sound and beneficial use of the large, open green spaces at airports. The first airport bees were installed in Hamberg, Germany in 1999. Since then, Munich, Dusseldorf and other German city airports have followed suit as has, Sweden, Copenhagen, Chicago O'Hare, Sea-Tac, Lambert St. Louis and Montreal-Mirabel. 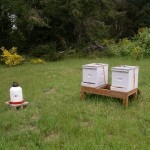 Not only does it bring a fabulous use to tracts of airport land that cannot be used for other endeavors, it brings a greater awareness of bees to a wider audience. 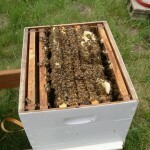 We'll be posting updates from the Airport apiary on this page so please check back often! The OBA is thrilled to be working with the airport on this project. Laurie Pyne, OBA President, attended the Port of Olympia Commissioner's meeting on May 26th to thank the Commissioners for their support of the program. Rudy Rudolph, airport director presented several pictures from the installation. They are excited, interested and looking forward to reading updates on our website.